Since discovering Kate Takes 5's blog last year (thank you, Lisa), I have enjoyed reading her 'top 5' lists of various items and products. I have also, on a number of occasions, intended to take her listography topics and participate with a 'top 5' list of my own. Except, to date, I haven't. I just don't seem to get myself organised in a timely manner. A 'top 5' post on biscuits drew me right in, and here I am posting on the topic within a few days of Kate's original list going out. Clearly I just needed the right 'top 5' list to get me going! Interestingly, I don't actually eat biscuits very often, but they obviously hold an important spot in my food heart. 1. 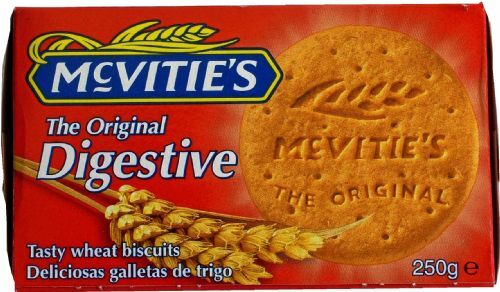 McVitie's Digestive biscuits. These make number 1 because they are so versatile. They work well by themselves, with a cup of tea, crumbled into yoghurt, and even as a base for desserts. They're also vegan to boot. Of English origin, they are readily available in Australia but not (accordingly to Wikipedia) so common in America. Wikipedia also stated that they are slightly similar to American graham crackers, an interesting fact as I've always wondered quite what graham crackers are. Chocolate digestive biscuits are also enjoyable (and apparently 52 are eaten each second in England! ), but I prefer the plain ones best. 2. Fruit digestive biscuits. Sadly, these aren't available in Australia. We once had fruit Granita biscuits, which were virtually the same, but they disappeared from the Arnott's range some time ago. Effectively a digestive biscuit with currants and added spice, these would be my Number 1 if only I could get hold of them readily. I think the closest available biscuits we have are the Paradise Rich Tea variety. However, the biscuit component of Rich Teas is harder than a digestive, and not quite as enticing. Still good, but not great. 3. Leda Minton dark chocolate mint biscuits. The dark chocolate coating is a relatively new feature of these biscuits. Vegan and gluten-free, they taste like a regular chocolate mint biscuit, but, I think, better. There is a decent biscuit base and a generous mint creme filling, and whilst the chocolate coating is fairly average (chocolate biscuit chocolate, rather than 'real' chocolate), it's on a par with most other commercial chocolate biscuit coatings, minus dairy. 4. 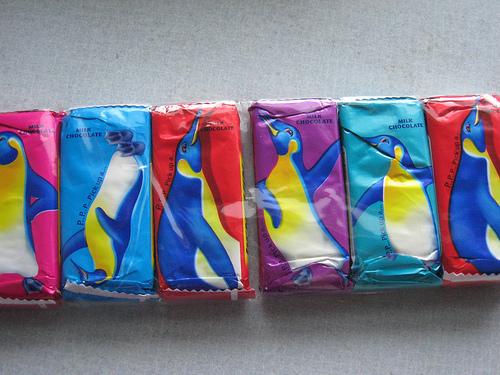 McVitie's Penguin chocolate biscuits. Another McVitie's creation and another non-Australian feature on my list, these are effectively English TimTams. I find them more chocolatey and less artificial than the Australian variety. They're also more fun. They come individually wrapped in different colours (I know this isn't environmentally friendly...), with a different Penguin character on each biscuit wrapping, and there is a joke or 'fun fact' on each wrapper. There's also a dedicated Penguin website where you can play penguin-type games, and read about conservation work being done in Antarctica (that at least is environmentally friendly...). In other words, I'm actually 5 years old at heart and chocolate plus child-focused marketing strategies will clearly work to reel me right in. These are available at an increasing number of Woolworths (in the international section) and at UK food stores, but you do pay for the privilege. I thus don't have them often, but it's always fun when I do. 5. Orgran Wild Raspberry Biscuits. These are vegan, gluten free, and comparably low in fat. They do taste like a 'healthy' biscuit, but I enjoy them and the nutritional profile provides an added bonus. Being 5 years old at heart, I like to nibble the top and sides off the raspberry centre, before moving on to the filling and base. Honourable mentions also go to Arnott's Malt O' Milk biscuits and Teddy Bear biscuits, which I loved as a child and still enjoy on occasion today, as well as Unibic Sponge Finger Biscuits, which have magical powers of absorption and are thus perfectly suited to dunking in hot drinks. In contrast, you'll note that none of my favourites are cream-filled. I've never been a big fan, and with age I've come to like them less and less. I also don't like shortbread or Anzac biscuits, or anything plain but very crunchy. What about you? Any favourite biscuit varieties? This post is part of the Kate Takes 5 Listography on Biscuits. You can see her original post here. I think there's something about biscuits that brings out the child in many of us :) And yes, those dark chocolate mint biscuits are a little dangerous. They need doling out carefully! I'm with you on the list concept - perhaps you'd be more organised than me in following the 'top 5' ideas! I tend to find the Penguins in the 'international' section of Woolworths, which often seems to be near the burrito / Mexican food range. I'm sorry to hear you didn't find the beetroot crackers though! I'm always used to Perth being behind the rest of the country - maybe they're still coming to Melbourne though? Hye wow, I don't think I've ever eaten a single one of these! Although would Nairn's berry oat biscuits be a good sub for your missed fruit digestives? I've always wondered what digestive biscuits taste like... like graham crackers? Are they sweet? Sweet, but not very sweet? Carrie below was helpful in having tasted both, so I'll defer to her more informed opinion (not having had graham crackers, I've always wondered what they taste like!). 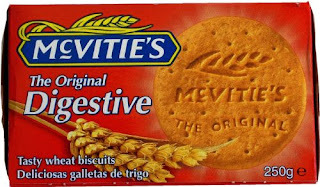 It sounds like digestives are softer and sweeter than graham crackers, and made from a different type of flour (digestives are wheat). I'll look forward to comparing them directly one day! I also love lists! And cookies, so I really enjoyed this post. Living in Canada, I'm lucky to get both digestives and graham crackers. Graham crackers are harder & crunchier than disgetives and are made with graham flour. They are a little bit sweet and can be eaten as is or ground up and used to make pie crusts or the base for a cheesecake. They are absolutely essential for S'mores! I also really like Penguins. The individual wrapping makes them super easy to throw in a lunch bag and to help keep my consumption to one. Sadly, the other ones on your list (aside from the fruit digestives) I haven't heard of, but they sound yummy! Thanks Carrie :) Lists and biscuits / cookies seem to appeal to a few of us! I'm really grateful for your digestive and graham cracker comparison, as it is something I've always wondered about. And I'm now thinking Canada may be a good biscuit base - digestives and graham crackers and penguins! 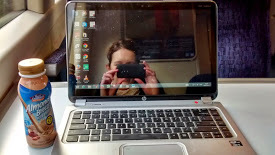 I have never felt so foreign reading your blog! First of all, totally didn't realize Australians also call cookies biscuits. Which is for the best, as a whole post about 5 kinds of American biscuits sounded quite boring! But just looking at all the food, it's such the kind of stuff people bring back and everyone's like, oh, foreign cookies. Sorry, clearly we're different nationalities, don't know why my mind is blown by our cookie differences! Hehe, I have the same experience reading American blogs :) You would think we technically spoke the same language! I haven't had the Orgran ones before but they look similar to the old Spicy Fruit Roll which was always my favourite as a kid. Nothing better than slowly nibbling your way around the pastry just to leave the fruity bit to be squished and eaten. One biscuit could last a full ten minutes! Yes! They're the best sort of biscuits I think. The ones I can inhale in 30 seconds flat are less fun and also more dangerous!